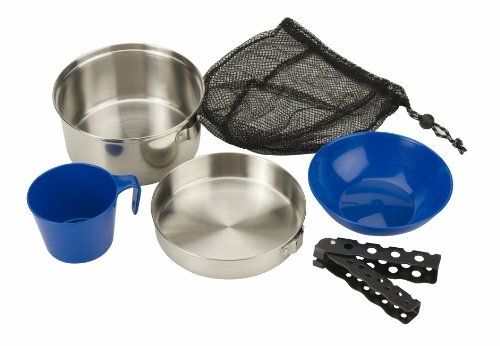 Cook up and enjoy just about any meal on the trail with a compact Coleman Stainless Steel Mess Kit. The entire 6-piece set nestles inside the stock pot. Take the stock pot apart and the bottom turns into a sauce pan and the lid turns into a separate frying pan with a locking, interchangeable handle. When the meal is done, enjoy it from the included BPA-free bowl and mug. When you're done, wash the dishes in the mesh dip bag and pack it all up for the next adventure.